schwooo! by stampinangie: Spring Coffee Lovers Bloghop! Super fun tag on card. 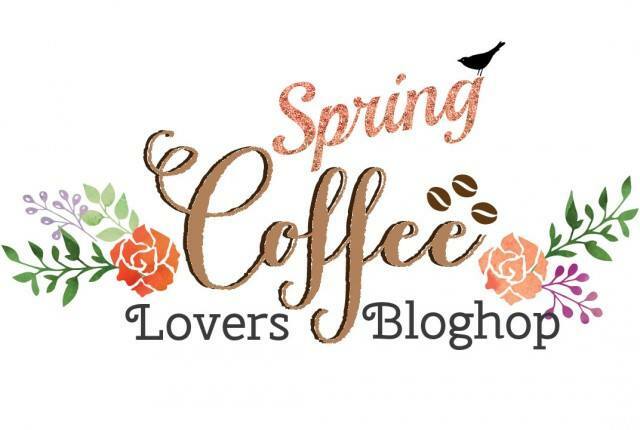 Love the stitching the coffee die is fab. LOVE your PRETTY trimmed tag and cross stitches!!! love the stitching on your tag, super cute! Nice! Lots of texture... love this! Pretty card...love your sweet tag. Love your little embellishments on the back panel, and the selection of material on the tag is unique. Great card. Cute tag card, Angie! Have a wonderful Monday and Happy Hopping! What an awesome card! Love all of the beautiful detail you've added with the stitching and the textured ribbon! Lots of pretty textures on this lovely card. Great stitching on the tag. A nice card with pretty colors. Loving that tag on that card. And the stitching elements you added. Oh, this is just darling! Love those stitched fabrics! Awesome stitching on your cool tag card! Such a fun card with all the stitching and texture! Loving your red backdrop too! Hope you had a great break spending time with Mom! Yay Angie!!!!!!!!! 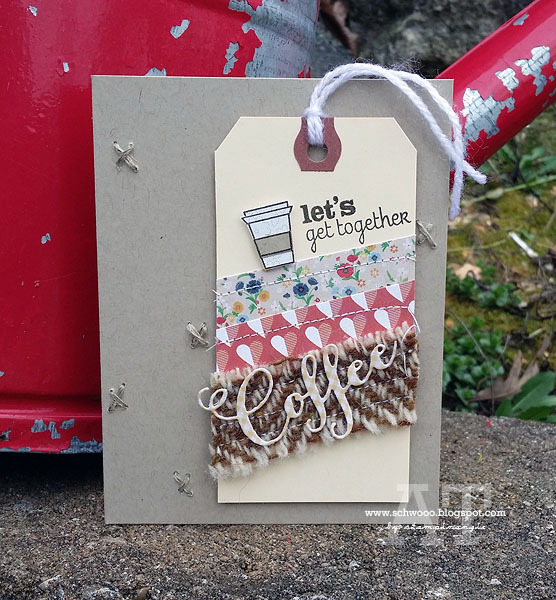 such a fun tag card...awesome stitching! Great card! So many details. Thanks for sharing. What cool layers you put together! I love your tag on the card. Great dimentions. Love all of the texture you incorporated!